Freida Pinto is looking forward to see many more actors from the country find a footing in Hollywood in the coming years. 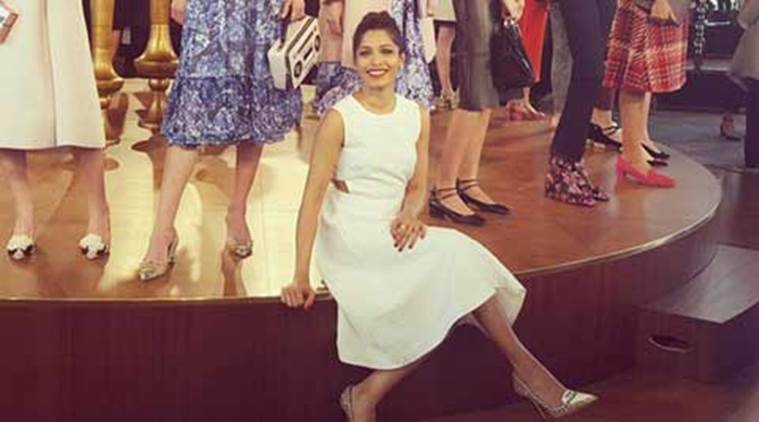 There has been a positive influx of Indian talents in Hollywood projects and actress Freida Pinto, who was catapulted to fame after Oscar-winning film “Slumdog Millionaire”, says she is proud to see her country getting representation and recognition globally. Actors like Priyanka Chopra, Deepika Padukone, Irrfan and Nimrat Kaur have bagged roles in international projects, thanks to the changing content be it in televison or films in the west. Freida has lauded the trend and said she is looking forward to seeing many more actors from the country find a footing in Hollywood in the coming years. “I definitely feel so proud that our country is getting recognition and representation. They are all being seen as global actors. But there is more to come and that is all I can think of,” Freida told PTI. The 31-year-old actress criticised the categorisation of the roles of Indian actors in international projects as small or big as she feels the fact that they managed to get into the bustling, crowded LA-based film industry is incredible. “I understand the sentiment when people say ‘chota role play kiya hain’. That is very convenient to say. The fact that someone has actually got through the door is enormous in itself. What a massive lottery game it is to be in the film industry. Let us not separate the two,” she said. The actress herself has played non-lead roles in manyfilms and says every small contribution by any performer helps the film and must be taken into consideration. In her eight-year-long career, Freida has worked with the likes of Woody Allen, Danny Boyle, Michael Winterbottom, Tarsem Singh and Terrence Malick in “Knights Of Cup”, which released in the US this Friday. Freida says everyday there is a constant need for validation, but she has learned not to chase after projects and does not regret things which she had to let go off. “I don’t think I would have done anything differently because I am still going on. There are many things like first of all the constant need for validation and expectation, awards and money as well. In her latest release “Knights Of Cup”, Freida has worked under the direction of Mallik, who rarely makes public appearances and the actress says when she asked the director about it he said he was too shy. For Freida it was a double treat – she not just got a chance to meet a man who is a “rare-sighting” but also bagged an opportunity to be a part of this beautiful journey. “The process of filmmaking is so much more important to him than just the end product. When you do his film, each actor has a uniquely beautiful experience. I have learnt so much from the film. It was a brilliant experience and I am grateful for it,” she said. Talking about her character Helen in the film, Freida says she plays a combination of a model, singer dancer and eventually a yogi, opposite Christian Bale’s Rick. Her on-screen persona is akin to her real-life situation, which is currently going through a transition.